Markets Of Sunshine: Dr. Who Fans Get Ready For Some Handmade Gifts That Are Out of This World! Dr. Who Fans Get Ready For Some Handmade Gifts That Are Out of This World! If you are a Dr. Who tv series fan you know that the season is about to begin again in August 2015. To help you get in the mood we've prepared some uniquely designed handmade gifts that are out of this world! 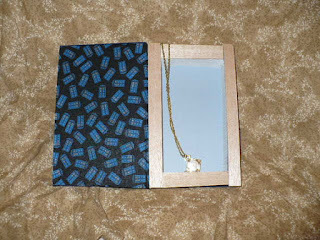 Dr. Who Tardis Themed Fabric Wallet sells for $17 and is an exclusive item you'll only find at Markets of Sunshine Etsy Shop! Last but not least is our exclusive design Hollow Book with Dr. Who Tardis fabric with wood trim. Sells for $22.95 in our My Secret Compartments Etsy shop. Click any of the highlighted words to visit our shops.